Here is another excellent graphic on flipped learning that we want to bring to your attention. 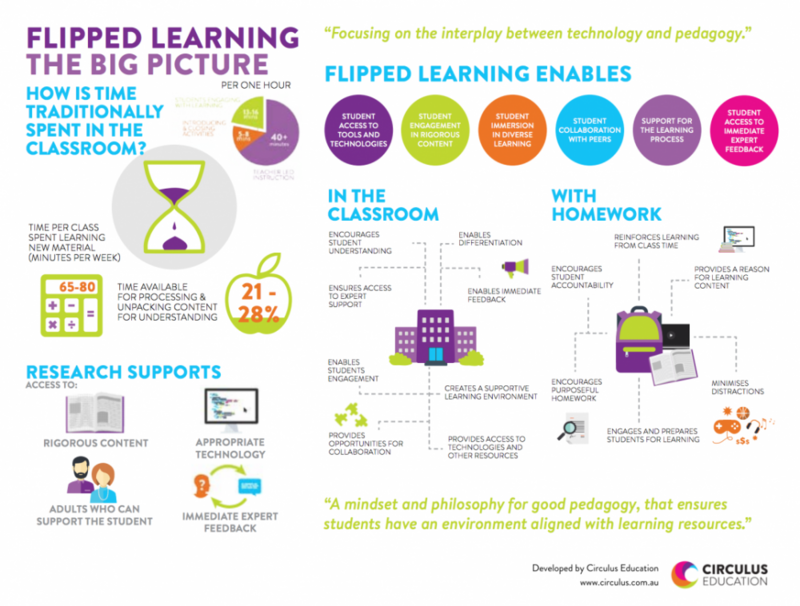 As you see below, “Flipped Learning: The Big Picture” provides a visual illustration of the concept of flipped learning in terms of what it has to offer to students learning both in class and at home. According to this graphic, flipped learning positively impact the learning that takes place in the classroom in the sense that it:Encourages student understanding, enables differentiation, ensures access to expert support, enables student engagement, creates a supportive learning environment, and provides opportunities for collaboration. Read on to learn more about how flipped learning supports students learning.